I’m going to open by saying this was one hell of a fun weekend. There was no pressure, no expectations, and lots of great friends. I really, really needed this and I was so very grateful for it. Meghan drove up from Orlando on Friday morning so we could carpool to Savannah. We decided we would go to the expo for our packets and VIP bracelets, get dinner, and then check into our hotel, which was located closer to the airport. We agreed that once we got out of the city, we weren’t going to want to brave traffic and crowds to get back in and would be better served by getting our race clothes out and going to bed. Barring a pretty nasty traffic snarl that set us back about an hour, the trip was uneventful and we arrived at the expo, excited and ready to pick up our packets. Three of them, because we were running three races! At this point, I really had to question our sanity, just a tad. We wandered around the expo for a bit: I bought a Rock ‘n’ Roll Savannah tank (I like race shirts, but I don’t usually wear t-shirts), and we picked up our Global Tour Passes. We signed in for our VIP Experience wristbands and got the parking directions to go with it. Happily for our wallets, there wasn’t much we needed or wanted to purchase, so we wandered a bit, and then made our way to the exit. It was just close enough to dinnertime, so it was off to the Crystal Beer Palace. Fortunately for us, there wasn’t much of a wait, and we found two seats at the bar. I wasn’t really in the mood for a burger, so I got a salmon BLT instead, with a glass of pinot noir. It was phenomenal, and though I’ve never really done seafood the night before the race, it was a good choice. By the time we got checked into our hotel, we were both ready for bed. We laid out our races outfits, set the alarm, and off to sleep we went. The alarm rang early, obviously. We were really concerned with getting the car parked before the road closures started, so it was our plan to be pulling into our assigned garage with plenty of time to spare. As luck would have it, we did run into some blockades, but we managed to find our way. Our VIP Experience began with a private, indoor waiting area at the Westin across from the race start line. Since it was literally freezing out, it was nice to have somewhere warm and quiet to wait. There were plenty of tables and chairs and runners had options of bagels or breakfast breads, bananas, coffee and water. There was music and we could all check our bags right there without having to brave the elements. On the tables were little packets of hand warmers (the kind that you shake to activate), and I grabbed a pack because I had forgotten gloves and my hands were freezing. Even better, we could just go up to the next floor for private restrooms designated for VIP use. It was great not having any lines. We wanted to make the We Run Social photo, and so we headed out to the Waving Girl statue on the waterfront. The hike was a little longer than we planned, and we missed the photo official photo, but we still got this one. And then it was all the way back to the start line. I was frozen through, but standing in the corral helped warm me up a little. I was really glad for those hand warmers, though. It wasn’t too long before we were underway, and I was stoked to be moving. The first five miles of the race were pretty simple – a long stretch along Bay Street (with a lovely bridge tossed in there), and then some straightaways through the small, surrounding neighborhoods. The sun came up quickly, and with it, the heat and humidity. Boo. We keep up a really nice pace for the first few miles, but one of our group was dealing with injury and we wanted to stick together. My watch was set for 4:1 intervals, while Meghan’s was on 2:1, so we had a nice range of run/walk options when we needed them. I had opted to carry my handheld bottle just in case, but there was plenty of water and Gatorade along the route. The course turned into the historic downtown portion of Savannah. We were able to take advantage of the shade of the tree-lined streets, and we admired the beautiful architecture. We passed the Cathedral of St. John the Baptist and SCAD. There was a long out and back along Oglethorpe Avenue, where we were able to take a quick pit stop. The relay participants also had their exchange located in this stretch of the race – it was hard seeing the medals and knowing we were only halfway there. As a side note, I did snag some Tylenol from a med station during the latter portion of these miles. My hip was chattering a bit and I wanted it to calm down so I could enjoy the rest of the run. We took East Broad Street to East Henry Street, and left town. This part of the race reminded me a lot of one of our local races: beautiful, expansive homes with tons of crowds lined up along the streets. It was lovely. We even got a beer from one of the families cheering us on! Just past mile 11, the marathoners turned off the path to continue with their run. We waved them off and wished them luck. And this was it! We were in the home stretch. Fortified by our beer, and cheered on by residents and aid stations, our foursome made its way down East Anderson Street towards Forsyth Park. To be honest, I would have loved to see the fountain as we finished, but the cheering spectators made up for it. Thirteen point one miles after we had started, we were done and ready to celebrate! After we collected our medals, water and chocolate milk (a must-have after a long run), we made our way to the main stage and the VIP tent. After our wristbands were checked, we entered the area and collected our bags from the private gear check. It took seconds. There was even a changing area if we had brought clean clothes. The VIP tent offered an area of drinks (beer, mimosas, water, gatorade and sodas), as well as a pretty extensive buffet. We opted not to eat because we had brunch reservations, but it was really nice to grab a seat at one of the tables and enjoy a cold beverage. There was even a wait list for complimentary massages, just for the VIP guests. While I’m not on board with massages, it was a really nice touch. All in all, the race was phenomenal. Granted, once the sun came up, we were dealing with some undesirable heat and humidity, but since I was hanging out with friends it didn’t really bother me as much as usual. Savannah is a gorgeous and hospitable city – the crowd support and community involvement was over the top, and combining that with rocking bands every few miles, plenty of water stops and aid stations made for an unforgettable experience. With the exception of the healthy bridge/hill in the first few miles, the course is mostly flat and it has the potential of being pretty fast. Can’t go wrong with that! Part one of the Rock ‘n’ Roll Savannah weekend was over, but there was plenty more to come! After all, we had the Remix Challenge and the Pie Society Challenge ahead of us! We couldn’t wait! What makes a race course memorable for you? Do you ever do several races in one day or weekend? 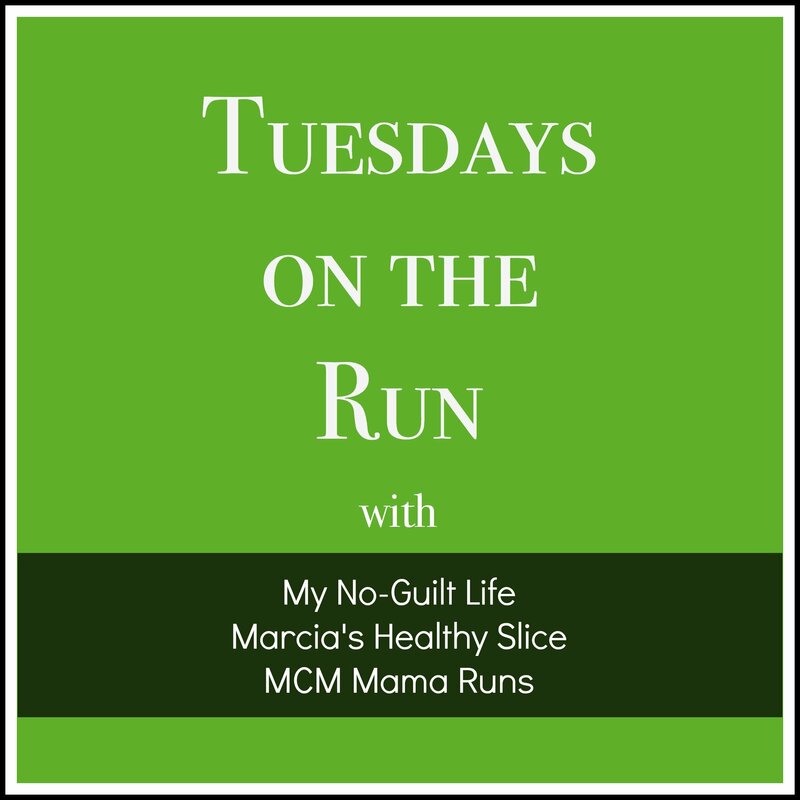 This Tuesday, we have joined up with My No-Guilt Life, Marcia’s Healthy Slice and MCM Mama Runs for “Tuesdays on The Run”! Check out your lovely hosts for tales of running and adventure! *As a Rock ‘n’ Blogger, my entry to the Rock ‘n’ Roll Savannah Half Marathon, VIP Experience and Global Tour Pass were complimentary. All opinions are my own. Would love to run this one. never been to Savannah. VIP is the way to go. A race is memorable by the people I run with or sometimes the scenery or in rare moments, a PR. Savannah is gorgeous. It reminds me a lot of St. Augustine, but with a different flavor. It’s also a really easy drive for us, so that helps. This wasn’t a PR race for us, but it was a blast anyway. This would be a race I’d like to do. I loved Charleston (we vacationed there) but I’d also like to go to Savannah. I may have to consider this! I have my sights on the bridge run in Charleston. Or something else. We haven’t been there yet and I would to do a racecation there. Great job. I would like to go back and do this one again, but it was the same week as NYC. I’ll be in Savannah for the Women’s half though. Abby @BackatSquareZero recently posted…Missed the Cyber Monday Specials? 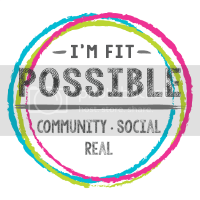 – Win My Favorite Gear! Yay! I will see you there! Let’s definitely try to meet up! Your donut skirt is great! Sounds like a great time, it is a nice perk to have the VIP treatment. The food after looks fancy! Busy race courses are a nice distraction, I enjoy doing a few big races a year to take in the atmosphere. I have never done a remix challenge. I need to one of these days. It was exhausting but so much fun! Love the running skirt! I’d love to run this one day! great job! Gotta love VIP tents. I did one at Disney, and it was nice to have some place to sit and meet up with people after the race. The private porta-potties were also nice. I didn’t think I would like it, but I really did. The private restrooms alone made it worthwhile. I’d love to more R’nR races…but I’m kinda stuck in the middle of no man’s land in Iowa… ;-( When I did the Chicago R’nR (2014), we did the remix challenge and it was a great time! I would have hoped by now it wouldn’t be so hot & humid there! I’ve always wanted to visit Savannah, and kind of think I might do my half there . . . but I don’t know. Maybe I need to pick one in February! 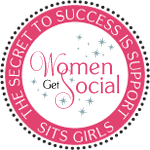 First – love your skirt! Second – THAT VIP table of food…oh my! Great job, I love the VIP experience, always wondered what it would be like if I bought it. I definitely want to run in Savannah some time! Savannah is on my bucket list. I visited the city once before, and I’d love to get back for a racecation. And RnR VIP definitely knows how to put out a good spread, don’t they? That VIP Experience sounds TOTALLY worth it! What a nice option to have! 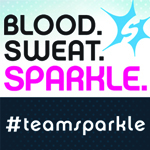 Sounds like a great race, and I can’t wait to read about the rest of the weekend!